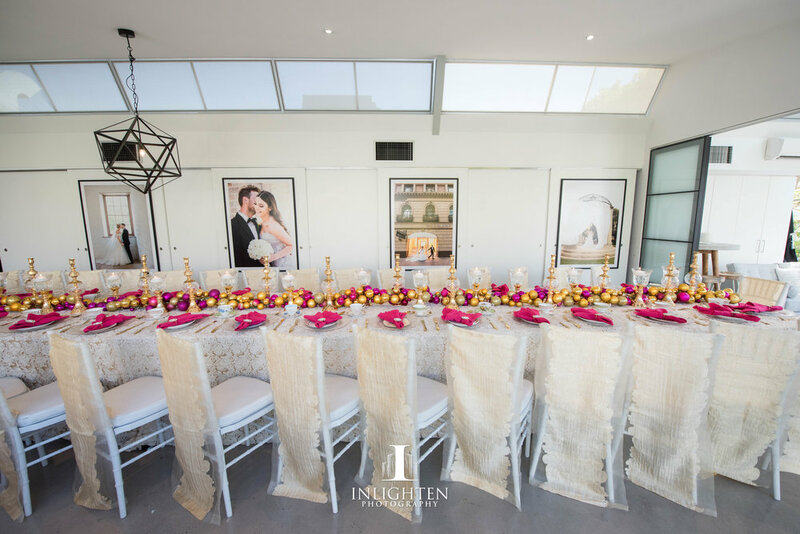 Bubbles & Brunch was hosted and styled by Events by Nadia in collaboration with Inlighten Photography to bring together the wedding industry in support of the Pink Hope Organisation. 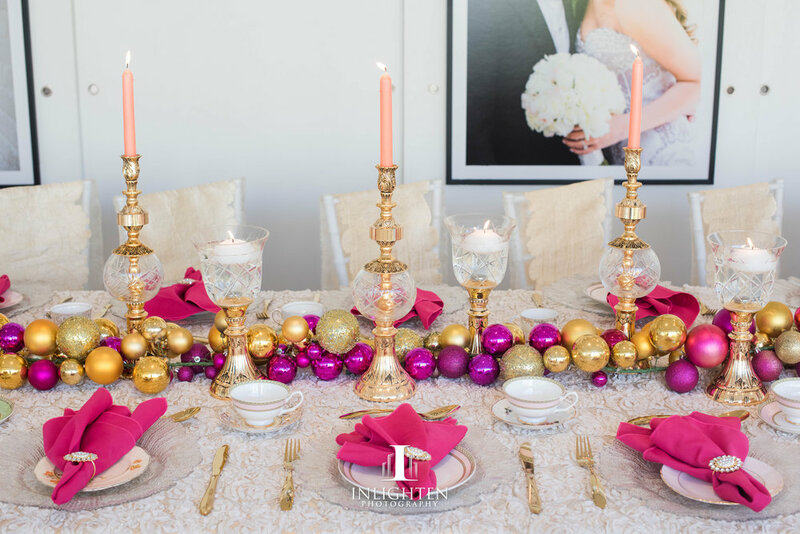 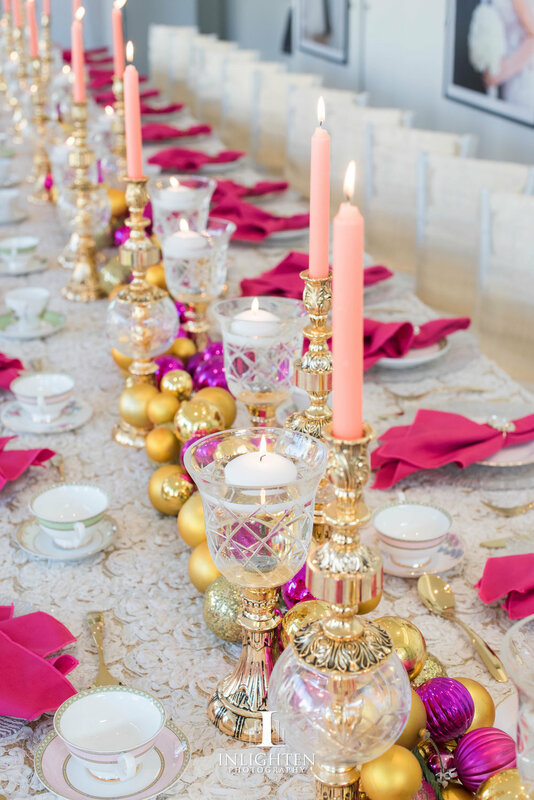 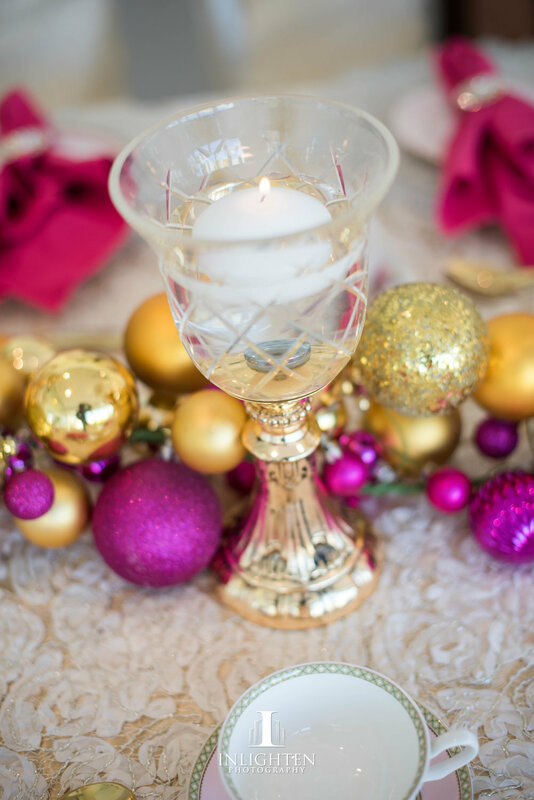 A "Pink Christmas" theme (the event was hosted around Christmas) allowed us an opportunity to create a fun yet classy table setting for our guests. 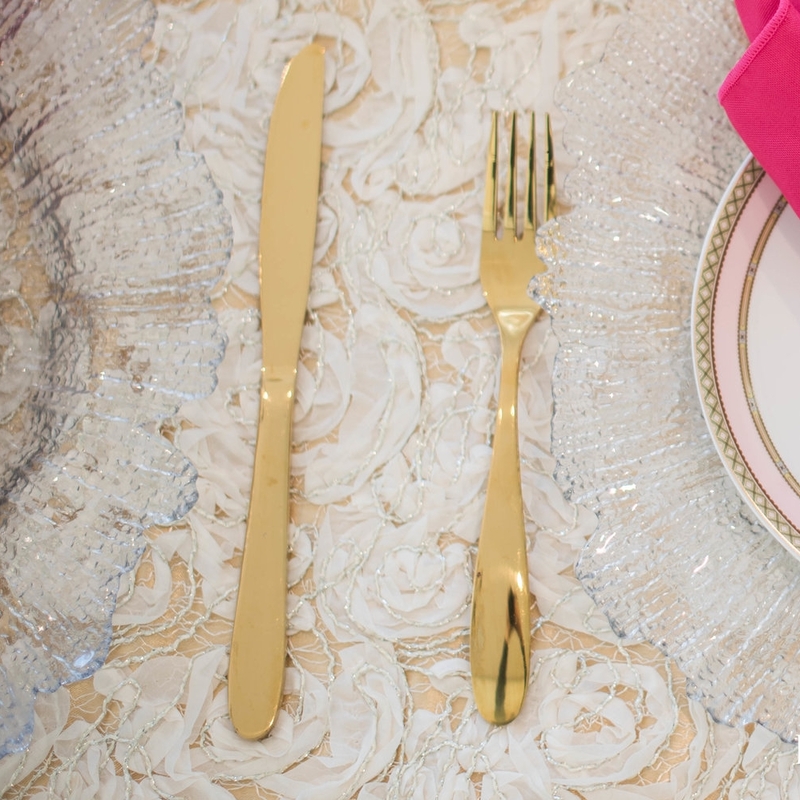 The tablescape featured our ivory "Rose" luxury linen, gold "Damask" organza chair covers, crystal cut charger plates, gold cutlery and a collection of gold and crystal goblets and candlesticks. 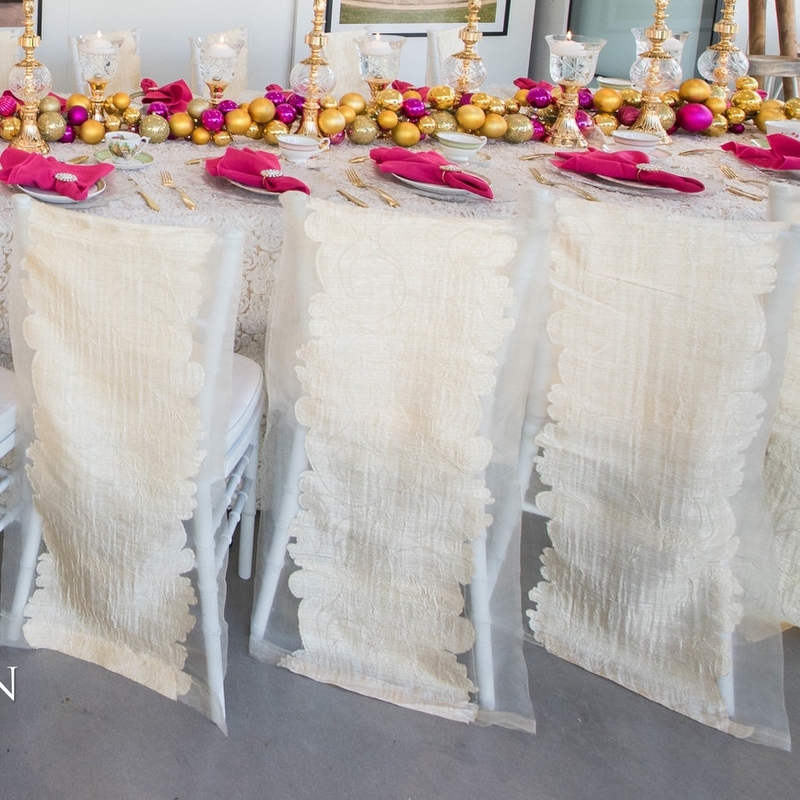 The delicious catering was provided by Gunners Barracks.